The court granted defendant's alternative motion to transfer for improper venue because a rented server did not qualify as defendant's regular and established place of business. "Servers are not real property; they are personal property. To the extent the servers provide 'space' from which a business may operate, any such space would be virtual space and virtual space explicitly fails the [In Re Cray Inc., 871 F.3d 1355 (Fed. Cir. 2017)] test. Accordingly, the Court finds that [defendant] does not have a physical place in this district, merely a virtual space. . . . The undisputed facts establish that [defendant] rents a server rack from a third party that owns the data warehouses in Ashburn. The 'place' in question, then, is not [defendant's] place, but the third party's place." Following dismissal for lack of patentable subject matter, the court denied defendants' motions for attorney fees under 35 U.S.C. § 285 because plaintiff's litigation positions were not baseless. "⁠[T]he Court agrees with [plaintiff] that the Court need not and should not consider issues of infringement, prior art or claim construction in deciding the instant motions, as the Court did not consider these issues in disposing of the case. Nor did [plaintiff's] inclusion of eligibility-related defenses in its complaint amount to an admission that its litigation position was weak, as claimed by Defendants. . . . [T]hough this Court eventually found that the claims of [plaintiff's] asserted patents were not directed to specific improvements in the functioning of a computer, the claims nonetheless recited computer components and were not found to be objectively baseless." Following dismissal for lack of patentable subject matter, the court granted defendants' motions for attorney fees under 35 U.S.C. § 285 because plaintiff's litigation positions were unreasonable. "Patient treatment and monitoring methods such as those claimed by the [patent-in-suit] had been declared ineligible long before [plaintiff] filed its 2016 lawsuits. . . . The numerous cases invalidating claims directed to information collection and analysis, such as the [patent-in-suit's] claims, stood in stark contrast to the handful of cases reaching the contrary conclusion. . . . There were of course gray areas, but by the time [plaintiff's] lawsuits were filed, it should have been clear that the [patent's] claims were 'manifestly directed to an abstract idea.'. . . The weakness in [plaintiff's] § 101 position is by itself a sufficient basis for finding the cases exceptional." The court granted defendant's motion to dismiss because the asserted claims of plaintiff’s Pokemon GO mapping patents encompassed unpatentable subject matter and found that the claims were directed toward an abstract idea. "⁠[T]he Court is persuaded that claim 1 is abstract. The claim is best described as a method for: (1) receiving a request for a specific map, (2) determining information about the requested locations based on rules associated with the location, and (3) communicating on the map whether a person may or may not enter the location based on those rules. The Court agrees with [defendant's] assessment that the 'rules' in practice are nothing more information that can be analyzed by a generic computer, or by the human brain. This claim is thus directed to the receipt, processing, and display of data. . . . Even limiting the claim to permitted traverses or visits to locations, the claim would still be abstract because it encompasses a mental process and is directed to the analysis of information." The magistrate judge recommended denying defendants' motion to dismiss or transfer for improper venue because defendants waived their venue defense due to their delay. "Defendants have waived their venue because of their untimely challenges combined with the inefficiencies a transfer would cause on the judicial system. Even after the Supreme Court's decision in TC Heartland, [one defendant] waited nearly four months before raising the issue with the Court, and [the other] waited over five months. . . . But by then, the parties were to have been immersed in claim construction discovery, have exchanged proposed claim terms and preliminary constructions, and proffered a joint claim construction statement. . . . Regardless of any venue-related conversations between the parties, Defendants (not [plaintiff]) chose to wait months before raising the issue with the Court." The court granted defendant's motion for summary judgment because the asserted claims of plaintiff’s physician efficiency software patent encompassed unpatentable subject matter and found that the claims lacked an inventive concept. "⁠[Plaintiff] argues that the use of rules, such as assigning physicians to report groups and assigning episodes of care to physicians, and the limitation of calculating scores based upon 'predefined sets' of medical conditions is inventive. However, the use of these assignment rules and the limitation of using predefined sets is simply a way of organizing data and then performing an algorithm. . . . There is also nothing about the ordered combination of these steps that makes this abstract process less abstract because the steps still amount to collecting, organizing and analyzing data to calculate physician efficiency scores. [Plaintiff] argues that the asserted claims disclose a very specific method of calculating physician efficiency that is patent-eligible. . . . [H]owever, the problem with that argument is that the claim language, as opposed to the specification, is extremely broad." The court granted defendant's motion to dismiss because the asserted claims of plaintiff’s software license verification patent encompassed unpatentable subject matter and found that the claims were directed toward an abstract idea. "The claims of the [patent] are not focused on how usage of the BIOS to store the verification structure leads to an improvement in computer security. Instead, the claim calls for the set-up of the verification structure data in the erasable, non-volatile memory of the BIOS, a memory that is typically used to store data. The ease or difficulty of altering this data does not change its function, or represent an improvement in its function. . . . Reading the claims as a whole it is apparent that their focus is on the abstract concept of selecting a program, verifying whether the program is licensed, and acting on the program according to the verification. The requirement that the verification 'key' be placed as data within the BIOS memory is at best a limitation of the invention, and does not make the concept of the claims any less abstract." The court ordered plaintiff and its counsel to show cause why it should not be responsible for defendants' attorney fees under 35 U.S.C. § 285 after granting summary judgment that defendants did not infringe plaintiff's patents due to statements made by plaintiff during its appeal of inter partes review proceedings. "⁠[Plaintiff] argued . . . the claimed invention does not require that the server determine the second process’s online or offline status solely by checking its database at the time of the first process’s query. But [plaintiff] has repeatedly told the Federal Circuit that its claimed invention requires precisely that. Indeed, the Federal Circuit . . . went to great pains during oral argument to pin down this exact point. Having won on invalidity based on those representations, [plaintiff] cannot now take a different position for purposes of proving infringement. . . . [Plaintiff] and its counsel . . . shall show cause in writing why they should not be held liable for defendants’ attorney’s fees by virtue of this being an 'exceptional' case within the meaning of [35 U.S.C. § 285]." The court granted in part defendant's motion for a protective order to limit the topics of plaintiff's venue-related deposition. "Whether [defendant] has owned or leased a place of business in the district is relevant, but whether a third party that provides 'services' to [defendant] has a place in the district is not relevant. . . . [T]he time period is overly-broad. Venue is determined at the time the complaint is filed -- not as early as six years before the complaint was filed. . . . An employee who works from home within the district might be relevant to the inquiry. . . . The name and location of anyone that 'provides services' to the defendant, however, is too broad. . . . While [information about retailers in the district] may be relevant to jurisdiction, or even to infringement or damages, the location of a retail store that is not owned or leased by the defendant is irrelevant to the venue inquiry." The court granted defendant's motion to compel the production of documents reviewed by plaintiff's "dual hat" expert that plaintiff withheld as privileged because plaintiff failed to establish a clear distinction between the expert's duties as both a consulting and testifying expert. "Plaintiff [argues the expert's] consulting role . . . was a 'separate engagement' . . . that there is a clear distinction between [the expert's] consulting and testifying roles because the information he considered in his consulting capacity, which was broader in geographic scope and included information on additional products, extends beyond the information he considered in his testifying capacity. . . . Plaintiff's assertion that [its expert's] consulting and testifying roles are separate engagements is belied by the fact that Plaintiffs have presented only one engagement agreement for [the expert]. . . . That [he] considered information in his consulting role beyond that which he considered in his testifying role does not establish a clear distinction. Since the information considered by [the expert] for his consulting role included United States sales data and other information relevant to the current case, it is difficult, if not impossible, to believe that it did not inform the opinions in his testifying expert report concerning damages. Accordingly, Plaintiff must produce the documents it exchanged with [the expert] in his consulting role." Following a jury verdict of willful infringement, the court granted plaintiff's motion for an ongoing royalty, but only as to the accused products at trial. "⁠[Plaintiff] argues that it is 'entitled to an ongoing royalty for any [defendant] product that is not "colorably different" from the adjudicated infringing products.'. . . At this juncture, it would be inappropriate to expand the jury’s verdict to encompass not only products which were identified at trial but also products that were not previously accused of infringing or otherwise identified in this lawsuit. Such a result raises many concerns. If [plaintiff] believes that certain newly-released, unaccused products infringe its patents, it can seek appropriate relief as part of a new action." The court denied defendant's motion to dismiss or transfer for improper venue and rejected defendant's argument that there must be a nexus between its action of infringement and its regular and established place of business in the district. "Defendant devotes much of its motion to the argument that 'the patent venue statute requires a connection between the alleged acts of infringement and the regular and established place of business.' It supports this argument by reading into the statute a level of ambiguity, invoking the 'policy underlying the patent venue statute,' and examining the provision’s legislative history. The Court need not consider these contentions, because it concludes that the plain language of the statute does not include a nexus requirement. Courts should 'ordinarily resist reading words or elements into a statute that do not appear on its face,' and this is one of the many cases where that is true." The court granted in part defendants' motion to exclude the testimony of plaintiffs' damages expert because his royalty base was based on a composite rate. 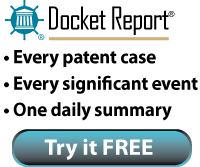 "Defendants explain that to reach his damages calculation, [the expert] applies a royalty base that includes units accused under any asserted patent to a royalty rate with contributions from every asserted patent. . . . I do not believe that use of a composite rate is consistent with Federal Circuit case law. . . . [The expert's] royalty rate assigns to each accused product the same per-unit royalty regardless of how many patents that product is accused of infringing. Thus, his analysis results in a damages calculation that overcompensates Plaintiffs and does not appropriately reflect the inventions' footprints in the marketplace." The court granted defendant's motion to dismiss for improper venue because defendant did not have a regular and established place of business through its work-at-home employees who resided in the district. "Although [defendant] has nineteen employees who are permitted to work from their individual residences in the Eastern District of Texas, the Court finds that none of these residences are 'places of the defendant'. . . . [Defendant] does not lease, or own any portion of these employees’ homes in the Eastern District of Texas. [Defendant's] employees do not regularly maintain physical inventory in this District, are 'free to live where [they] cho[o]se as far as [the defendant] [is] concerned,' and do not receive reimbursements and support conditioned on their location within this District. . . . [Defendant] emphasizes that '⁠[t]he territory to which [its] sales teams are assigned often bears little relation to the team members' place of residence.'" The court granted defendant's motion to dismiss because the asserted claims of plaintiff’s email transmission patent encompassed unpatentable subject matter and found that the claims were directed toward an abstract idea. "The Court finds that [the patent] is directed to the general concept of using an intermediary to exchange messages, and is therefore directed to an abstract idea. The idea of using an intermediary to exchange messages is not a foreign concept. . . . While [plaintiff] argues that the purpose of 'claim 1 is to benefit the interface service computer system that is providing the communications,' the [patent] does not recite any specific method through which an interface server’s website is able to retain visitors to its site, or that the purpose of the [patent] is to result in this benefit. . . . The patent provides no meaningful limitations on the functions of these components; instead, they form an existing technological environment in which the abstract idea of using an intermediary to exchange messages or information may be accomplished." Following an evidentiary hearing, the ALJ determined that one of complainant's garage door opener patents encompassed unpatentable subject matter and found that the claims were directed toward an abstract idea. "The language of the claim is itself dispositive, but the [asserted] patent’s focus on calculation is strong circumstantial evidence that claim 15 is directed to a software-based routine, or algorithm -- an ineligible concept under 35 U.S.C. § 101. . . . [T]he only structures implicated by these claims are a movable barrier and motor, but even then, they are not actually part of the claimed methods. Rather, they are recited to explain the identity of data values like 'characteristic force value' and 'motor operation compensation value'. . . . Setting aside whether or not Respondents omitted discussion of key limitations, I find the [asserted] patent claims can be performed in the human mind because of their precise wording." The court granted defendant's motion to dismiss plaintiffs' ANDA infringement action for improper venue because defendant did not file its ANDA in the district. "⁠[T]he plain language of the patent venue statute provides that venue is proper 'where the defendant has committed acts of infringement.' In the Hatch-Waxman Act context, because the generic drug is not yet being marketed, the only act of infringement that actually has occurred is the filing of the ANDA. . . . The commencement of a lawsuit effectuates the purpose of the Hatch-Waxman Act; it is not necessary to recognize additional speculative acts of infringement to give the statute effect. . . . This Court declines to find that an act of infringement occurs wherever an ANDA filer intends to market the accused product." Following plaintiff's voluntary dismissal, the court granted defendant's motion for attorney fees under 35 U.S.C. § 285 because plaintiff's litigation positions and tactics were exceptional. "⁠[Plaintiff's] behavior is consistent with the filing of patent infringement actions to force settlements with no intention of testing the merits of the claims. Its lawsuit against [defendant] was one of 20 lawsuits filed the same day concerning the [same] Patent. Most of the cases promptly settled for between $3000 to $15,000. . . . [B]efore a ruling on [defendant's] § 101 motion, [plaintiff] offered to walk away provided that [defendant] would forego its right to seek fees. . . . [Defendant] countered it would agree to a dismissal, but would not waive its right to seek fees under § 285. [Plaintiff] refused that offer, which suggests exposure to an 'exceptionality' finding was on its mind. . . . This shows the driving factor in its decision not to dismiss the case was its exposure to attorney’s fees, not the underlying merits of its position. . . . Simply put, refusing [defendant's] offer made no sense if [plaintiff] believed it had a meritorious case and that a § 285 motion would have been frivolous." The court granted plaintiff's emergency motion to sanction defendant and removed defense counsel from the case. "⁠[Counsel] has repeatedly violated the standards of attorney conduct as adopted by this Court’s Local Rules and the Texas Disciplinary Rules of Professional Conduct and has violated Federal Rule of Civil Procedure 11. Despite multiple warnings from the Court to perform in a responsive and diligent manner, [counsel] has continued to ignore communications from [plaintiff] for unproduced and overdue discovery, emails and phone calls from the Mediator to schedule mediation in accordance with the Docket Control Order, and orders from this Court to appear at mediation and to appear in-person for a show cause hearing. In addition, [counsel's] conduct has not only wasted the Court’s, Plaintiff’s, and the Mediator’s time and resources, but has significantly harmed his client’s defense. . . . The Court finds that the interests of the Parties, as well as the administration of justice, require that [counsel] be removed from this case."